Swinging Europe is a project financed by the Executive Agency Education, Audiovisual and Culture (EACEA) through the Europe Creative program. The main objective of the project is to improve the networking and the cooperation among artists and professionals by establishing a European Swing Network and providing opportunities for young swing musicians to develop their careers internationally. The project is promoted by Marmaduke, a music agency based in Sevilla (Spain) in cooperation of ASD Italian Swing Dance Society (Italy), Lindy Hop Bulgaria EOOD (Bulgaria), Marckodrom (France). The project includes, among others, the following activities: the European swing fair, and the Swinging Europe Web-Portal (swingingeurope.eu) a transnational swing mobility programme for swing artists and bands that will take place in four European festivals, Sevilla Swing, Sofia Swing, Marckolswing, Swing on the beach. The project started in July 2017 and will end in June 2019. Marmaduke is a music booking agency based in Seville mainly focused in Jazz and Swing genres. While the company is more active in the south of Spain it promotes every year around hundred concerts and events all over Spain. Since 2013 is organizing the Sevilla Swing Festival. In 2016 got its first Creative Europe grant with “The Soundroutes” (soundroutes.eu) aimed at integrating refugees and migrant musicians in the artistic and local communities. Swining Europe is its second European funded project. The Italian association ASD Italian Swing society is the promoter of the “Swing on the beach festival” and of the “LOT-Liny Old Timers project”. The association carry out several activities like concerts and dance event’s production, enterteinement activities about the culture of the ’30-’40-’50, promotion and conservation of the Italian, European and American Swing, support to olds protagonist of Lindy Hop. The association is also commited in the promotion of emerging swing band. The “Swing on the beach” festival takes place in Pescara and sourrounding. Marckodrom is a cultural and artistic association base in Marckolsheim, central Alsace region, France. The aim of the association is the promotion of local artists within and beyond the region with a special focus on Jazz music. Since 11 years the Marckodrom organizes the “Marckolswing ! International Classic Jazz Festival”. Another importan activity of the association is “Les Vendredis du Jazz”, a Jazz event dedicated to no-professional jazz musicians. Lindy Hop Bulgaria is the the largest Bulgarian Swing Dance School . In four years, by teaching classes, giving workshops, organizing events and partaking in international festivals, Lindy Hop Bulgaria has developed a significant community, devoted to cultivating а standard on the Bulgarian scene. 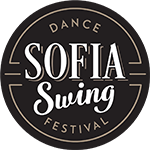 It is the host of the annual Sofia Swing Dance Festival, with the participation of worldwide renowned names. Within its three-day program, it encompasses various dance workshops, live-band concerts, traditional competitions and social activities.